I have an exciting treat to share with you today! Earlier this year, I read and absolutely LOVED Night School by CJ Daugherty. I love the boarding school setting, the feisty main character, the story which hints at paranormal activity but is in fact contemporary and is filled with twists and secrets and excitement and a bit of swoon. 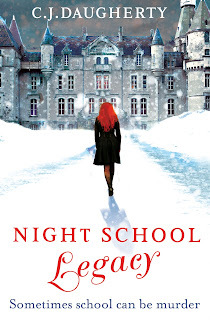 Well, early next year, the sequel, Night School Legacy is published. I have already read it and I assure you, it is even more exciting and emotional. It's definitely a series that you need to read! This time around Allie must face betrayal amongst her friends, she learns some shocking secrets about her family and has very confusing feelings about two boys in her life. It's wonderful. 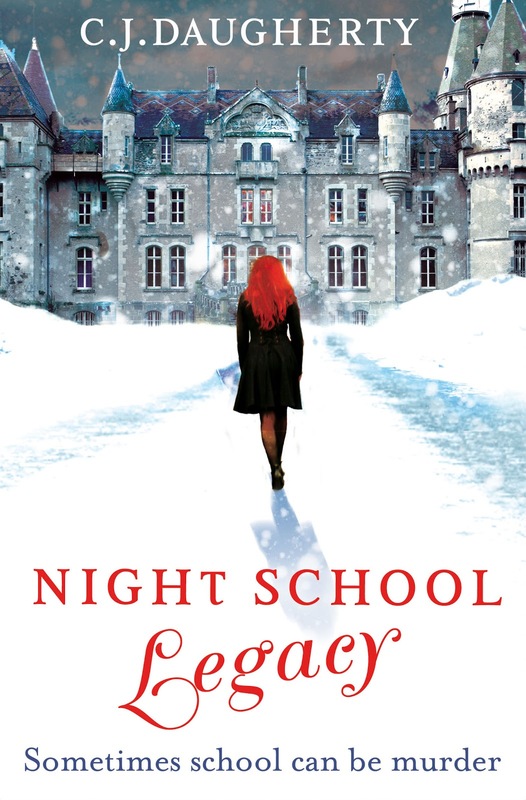 And today, as I will be taking part in the Night School Legacy blog tour in January, before you go off to enjoy your New Years Eve celebrations, here to whet your appetites is the very cool-looking trailer. What do you think? Also, stay tuned in the next few days for the official blog tour, which will include some very exciting things. Will you take part in the Night School challenge?! Read all about it below. And have a very safe and relaxing New Year's eve! What a beautiful cover! Sounds interesting! Thanks for putting CJ Daugherty on my radar!